Roundup for Weeds kills those low-down, stubborn little rascals. And we understand them like no other. 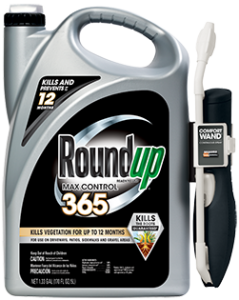 So if you have a weed control problem, you can bet we have a weed control product for it. One that’ll get you back to kicking back and enjoying your great outdoors. Roundup® For Lawns1 is a formula that kills weeds, not the lawn! 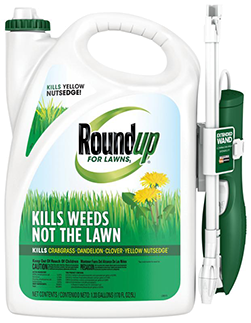 It controls over 250 common lawn weeds, roots and all, and is especially effective on hard-to-kill weeds such as crabgrass, dandelion, clover and yellow nutsedge. 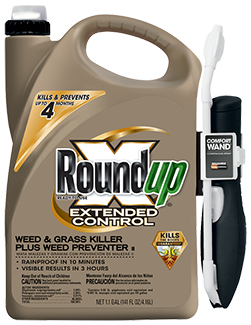 The ready-to-use formula with our extended wand makes it easier than ever to spot-treat lawn weeds, without bending over! This fast acting formula starts killing on contact and kills weeds down to the root so they don’t come back. In addition, its rainproof in as little as 3 hours! 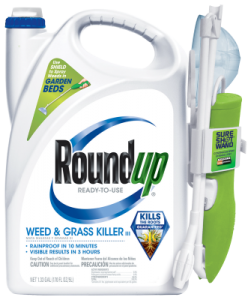 Roundup® For Lawns1 is a simple step towards a beautiful, weed free lawn. 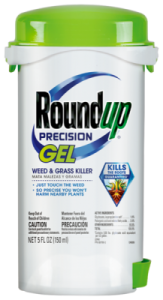 1 Shot Kills Weeds & Grasses, Roots & All, For use in and around vegetable gardens, around flower beds, driveways and sidewalks and along fences, Non-Selective, Systemic Weed & Grass Control Treatment For Undesirable Vegetation, Does Not Have Soil Activity, Rainproof in 10 minutes, Visible results in 6 hours, Plant 1-3 days after application. 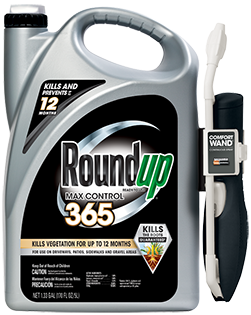 Roundup, 36.8 OZ, Concentrate, Weed & Grass Killer Plus, Kills the toughest weeds and grasses to the root. For use in a tank sprayer. For use around flowers, shrubs and trees; on patios, walkways, driveways, gravel areas and mulch beds; along fences, edging and foundations; as well as areas such as lawn replacements or garden plot preparation. Rainproof in 30 minutes. Visible results in 12 hours with FastAct Technology. Not for use around existing edibles. 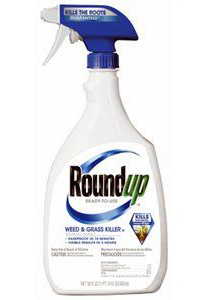 Active ingredients: Glyphosate 18%; Diquat 0.73%. 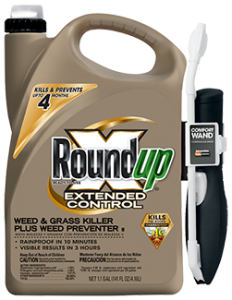 • Continuous spray Sure Shot® Wand extends 2 feet – no more bending over to kill weeds! 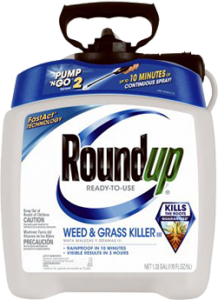 • Roundup is ideal for targeting weeds in garden and landscaped beds. Can also be used on driveways, sidewalks and patios. 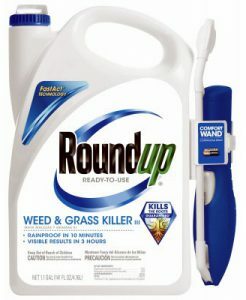 RoundUp Pump ‘N Go Weed & Grass Killer, 1.33-Gal. • So precise you won’t harm nearby plants. • Ideal for tight spaces & gardens. • Easily gets into hard-to-reach areas. 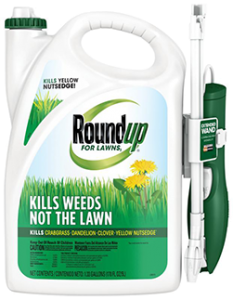 • An innovative way to kill weeds. • Touch the leaves to kill the roots.